The other day at the gym, the teacher sent us to the wall for a set of standing push-ups. “Place your hands on the wall at breast level,” she instructed. I placed my hands on the wall at breast level. I saw that my hands were headed for the Gulf of Mexico. “How did this happen?” I asked, sorrow catching in my throat. I gritted my teeth and performed three grueling sets of push-ups, determined to show that my strength and agility were not sliding nearly as fast as some of the rest of me. I did not cheat, exactly. I leveled the playing field, so to speak, by sliding my hands north on the wall closer to California, where the rest of my body lives. This made the push-ups much easier to complete. Besides, the true pain of the exercise was realizing that I was desperately overdue for some deferred maintenance. Back home, I fished out a catalog of women’s sports clothing that sold bras for every possible shape and fitness need. Sure enough, I found a model designed by a researcher in New Zealand who had a doctorate in Newtonian physics. The bra was called “Stand and Deliver”. I paid extra to have it shipped to me overnight. When I looked at myself in the mirror wearing my new suspension rigging, I was amazed at what a little retrofitting could do for me. Had I only known how much I would benefit from a close study of Newtonian physics and its application to my ability to perform wall push-ups, I would have paid more attention in high school science. Stage 1 of my deferred maintenance program had striking results. While it is still a painful experience to walk past Victoria’s Secret, that bastion of female objectification and purveyor of false expectations, at least now I do so holding my head (and my mammaries) a little higher. Victoria’s starving models may look better in a push-up bra than I do, but those scrawny arms of theirs will be their undoing in a contest with me for wall push-ups. 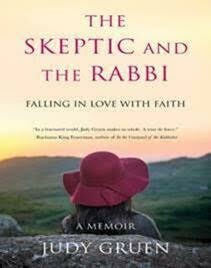 Judy Gruen’s newest book is “The Skeptic and the Rabbi: Falling in Love with Faith,” (September 2017, She Writes Press). 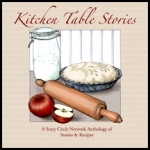 She is the author of four previous books and has written for the Wall Street Journal, Chicago Tribune, Aish.com and many other media outlets. Find her online at http://www.judygruen.com/.